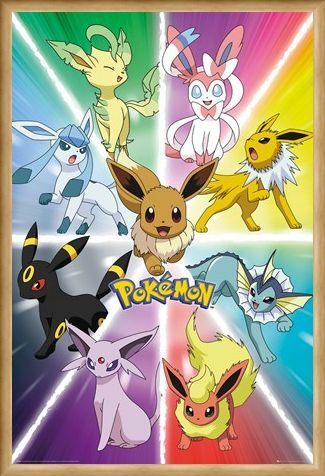 Don't underestimate this seemingly harmless and adorable Normal Pokemon, because Eevee has the capability to evolve into eight different characters! 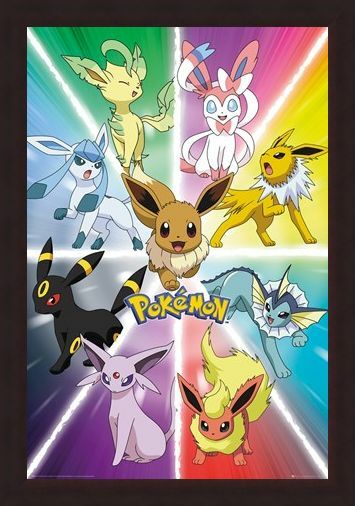 Picturing the original fox at the centre, an exploding ray of colourful light fills this poster, dividing it into separate different sections. 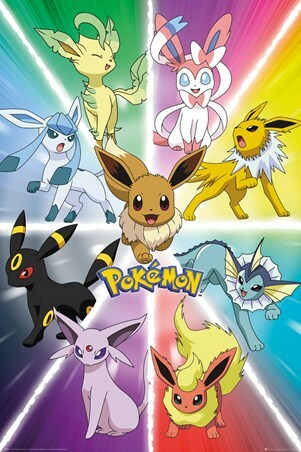 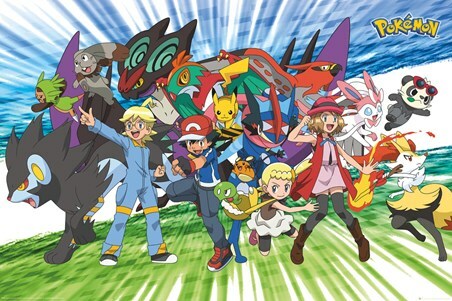 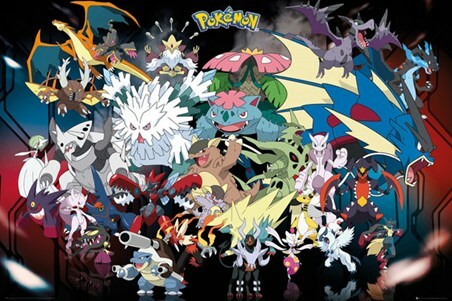 Electric Pokemon Jolteon takes centre stage in yellow, whilst Water type Vaporeon dominates the blue area. Also featuring the Dark Umbreon and the Grass Pokemon Leafeon, this will soon have you wanting to 'Catch 'em all'! 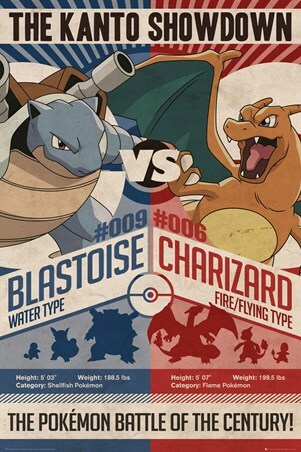 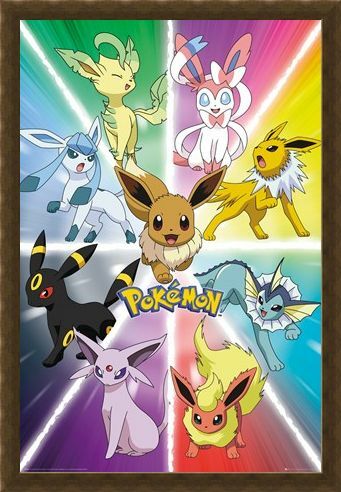 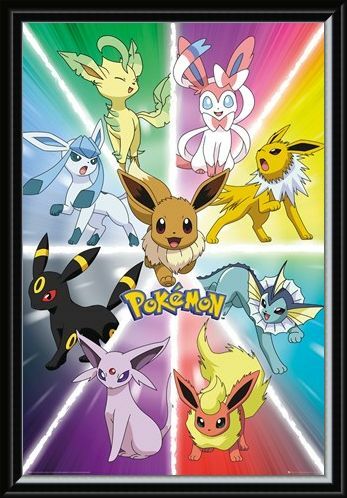 High quality, framed Eevee Evolution, Pokemon poster with a bespoke frame by our custom framing service.